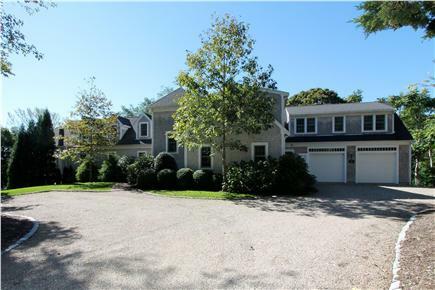 BSHE2-Exquisite best describes this spacious and stylish multi-level home. 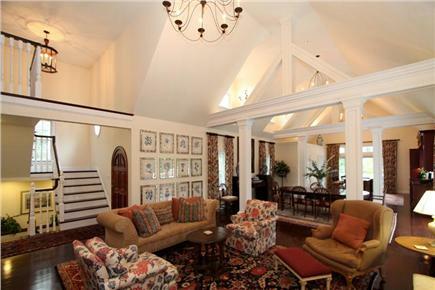 Expansive 6BR/9.5BA pond front home with path leading to Small Pond. 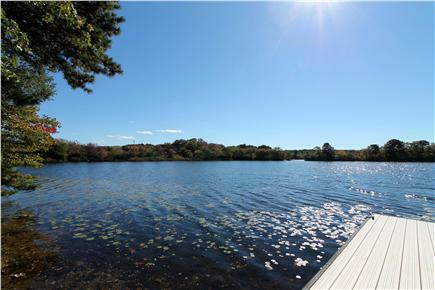 Owner also has kayaks available and you can easily access Long Pond from Small Pond. This home is located on a quiet country lane yet convenient to beaches, restaurants and quaint Cape towns. 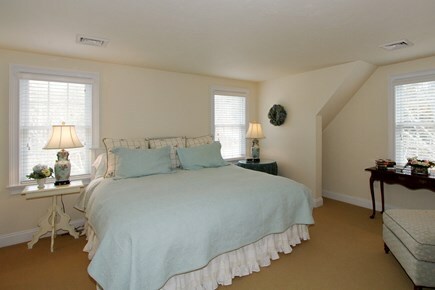 The main floor has a large open living-dining and kitchen area with vaulted ceilings and a lovely master bedroom suite. 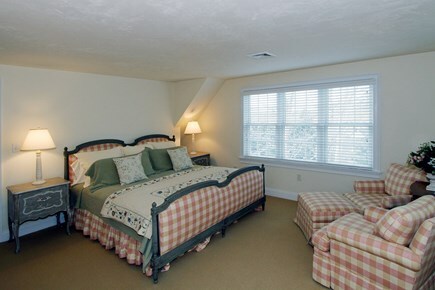 The second floor has three tastefully decorated bedrooms plus TV room. 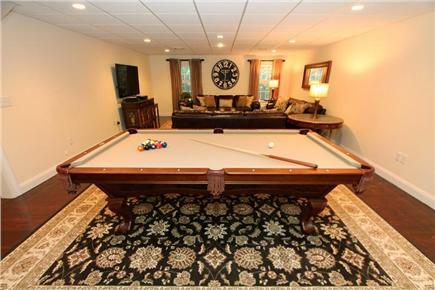 The lower level has a twin bedroom, a king bedroom and an 18x28 combination TV and game room. 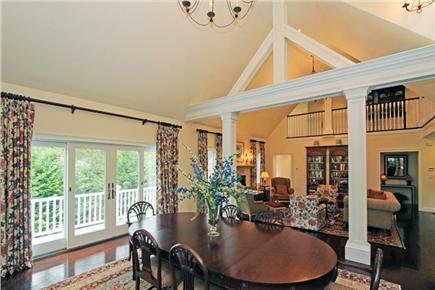 This home is perfect for special gatherings that you will long remember. 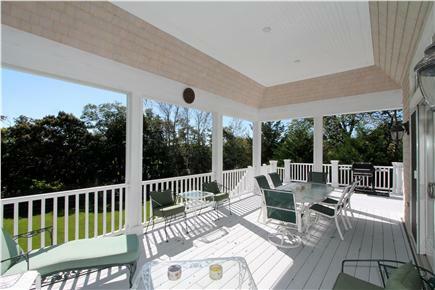 It is just a short stroll to a nice town beach on Long Pond (less than 1/10th mile) which you can see from the property. This is a Sunday-Sunday rental. Available for three night minimums in the off season at $3000. (Additional nights at $750/night). $125 Administrative fee plus applicable state and local taxes. Additional availability info: Available off season 3 night min. 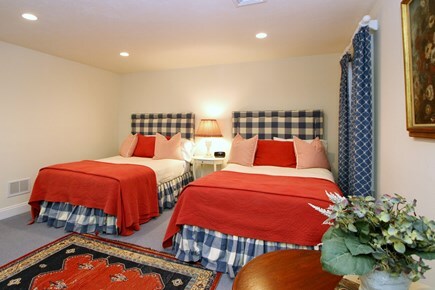 (3/nights @ $3000 plus $750 for each additional night). This is a Sunday to Sunday vacation rental. Additional pricing info: $125 Administrative fee plus applicable state and local taxes, State and local taxes of 14.45% will apply. This was our first year enjoying a wonderful family vacation in this beautiful home. This home has it all - spacious first floor with large deck overlooking pond, large attractive bedrooms, multiple bathrooms and great game room. Our family really enjoyed the pond, fishing, paddle boarding & kayaking. Having Long pond and beach nearby was a plus and perfect for our grandkids ages 1 to 9 yrs. 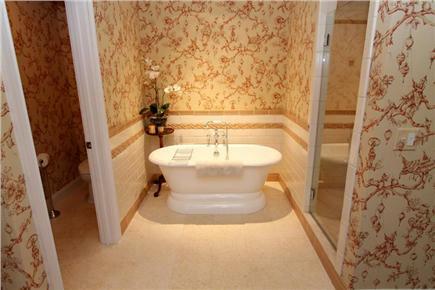 The owners are very friendly and welcoming and take great pride in their home. 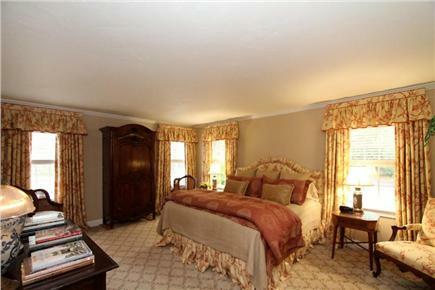 The Sotheby agents are always helpful and accommodating. 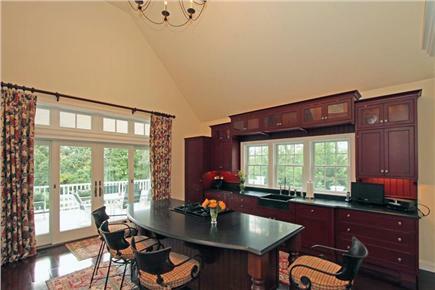 Owners of this beautiful home are not only gracious but very attentive to details. The real estate company handling this rental is also very professional and helpful. This is a perfect rental for extended family.